One of our most popular posts, I’m republishing this with updates. Something for every dad on your list here! With Father’s Day just around the corner, we thought we’d share some great gift ideas for those who want to pick up a little (or big) something for dad or hubby on Father’s day. Surely there’s something for everyone on this list. From the fun to the simple to the extraordinary, pick a gift and spoil your dad or husband a bit this Father’s Day. The Official John Wayne Way to Grill: Great Stories & Manly Meals Shared By Duke’s Family We own this cookbook and use it often. Every recipe we’ve tried out of it is fabulous! Whatever you give to your dad this Father’s Day, whether it be a lamborghini or a heartfelt “I love you”, have a wonderful day. *There are some affiliate links in this post. This means that if you click on the link and buy, the Frugal Farmer family will receive a small commission to put toward our debt payoff goals. Thank you! I also like the favorite meal gift. Honestly, when asked what I want…I really can’t think of anything (especially anything reasonably priced…sure I’d like a house or a car, but that’s not something I’m putting on a wish list!) A lot of times, our gifts are going somewhere or maybe eating out. We do a lot of those same things, Andrew! Things that we don’t do all that often: experiences, you know? These are great! Admittedly, I’m in the phase of just exchanging cards with my parents, but I think any gesture or act of kindness or gift goes a long way with parents. They earned it. I think so too, Natalie. For my dad we get together at a local park for a BBQ. It’s always great fun and dad enjoys simply being with the kids/grandkids. Awesome gift ideas, Laurie. I’m buying the gloves and the safety goggles for my dad. Thanks! This is an awesome list Laurie!! I actually think I’m going to get my hubby the handyman work gloves from my son. He always seems to need those for work around the house and never seems to find a pair. They really are a functional and affordable gift! LOVE the work gloves! There’s something about having quality gloves when working around the house. We have learned the value of them since moving to the farm. Great ideas, especially the practical, low-cost items. Those are my favorite kind of gifts. We usually do a special meal at home instead of gifts for Mother’s and Father’s days, but my husband hinted he’d like a good raincoat. I’m always more excited to buy gifts when I know of a particular need. I am at a loss about Father’s Day this year. I’ll probably go with the tried and true gift of food in some fashion. Nice list! When the Mrs. asked if I wanted anything for Father’s Day, I replied, “Nope, I’m good. Can’t think of anything.” Those work gloves though, made me make a mental note for my birthday, because mine are getting a little worn out. As far as a movie marathon, that’s another great idea! I’d love to have the time and kids with enough attention span to actually sit and enjoy a marathon, lol. These gift ideas are perfect. 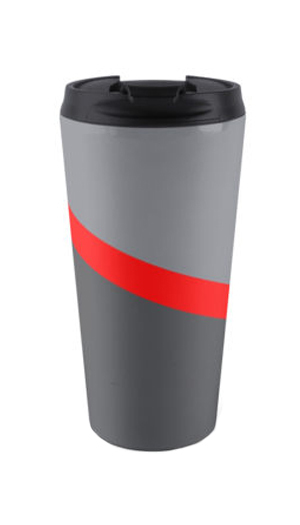 I think my Dad would appreciate the BA’s Van Travel Mug and he can use it at work. Thanks for the ideas, Laurie. Greta list Laurie, sure i’ll pick ”BA’s Van Travel Mug” for my dad i hope he wouldn’t make a fuss. The grill book idea is awesome! But unfortunately my dad doesn’t read anything (even his own emails). So I’m sending him omaha steaks this year, haha! Great list with some fabulous ideas! Oh my goodness! Is it Father’s Day? Thanks for the reminder : ) I like the gourmet Bar-b-que seasoning, but that just might be me being selfish. Happy Father’s Day to Rick! LOL, I hear you there. 🙂 Same back to DH, Prudence! Interesting! Did not know that! These are some great gift ideas for dads and grandfathers. My father is always difficult to buy for. It always seems he has everything, so going fishing is always a good and cheap idea. That’s a terrific idea, Nate! And I’ll bet he loves spending the time with you too! 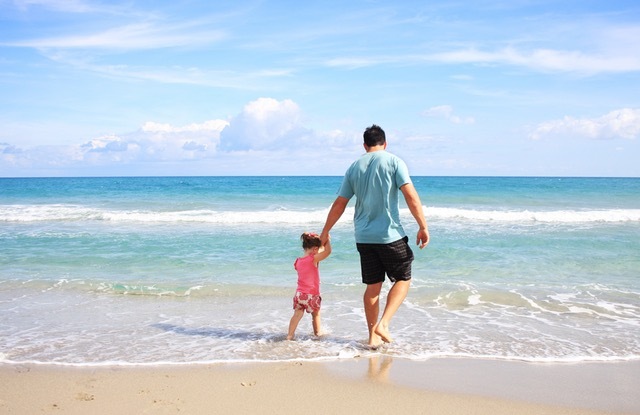 I have been trying to think of things to do for my husband (it is his second father’s day 🙂 I was thinking of an outing with our baby girl…beach day? trip to the zoo? picnic? But I’m sure he would REALLY love the new iPhone! I’d always enjoy a good gift, but on Father’s Day, all I need is some quality time with my family! I’ve got the Bose Soundlink and absolutely LOVE it! But that said, I just moved it out of my kitchen where it’s been for the past year or so and replaced it with Alexa. The sound quality is not as nice as the Bose, but it’s good enough. The interactive features make it my favorite ‘toy’ at the moment. I know all of the guys that I associate with would LOVE to have one. Love the lambo mouse!! Thank you for sharing these. As a Dad, I am happy to verify, there are some great ideas here!